MyAngel App is a tremendous tool to help parent’s, teachers or mentors good conscience and strong character in teens and young adults in order to lead a successful life. 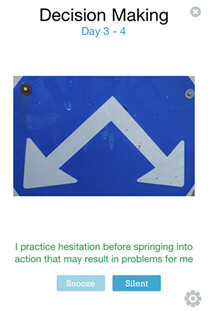 My Angel App offers a 13-week series of five daily life tips, or affirmations, for the iPhone. These ongoing bursts of wisdom help children, teenagers, and young adults find their way through times of uncertainty. The app’s daily affirmations focus on specific character traits that change weekly. My Angel App seeks to develop responsibility, respect, diligence, and ten other qualities that form good character. Self-help books rarely work since recommendations typically do not get put into practice. Because My Angel App’s affirmations continually appear on a phone at regular intervals, they create lasting change. Simply put, the messages stick. Children and young adults often face difficulty confronting our culture’s emphasis on easy gratification and material things. My Angel App fights the tide by stressing the importance of hard work, frugality, and respect. The good character that My Angel App helps build is its own reward. Good character, after all, not only makes people more respected and liked. It makes people feel better about themselves.